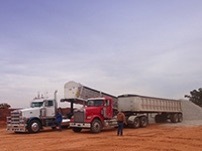 We have Trailers and Tandems that traverse the entire metroplex daily from singleloads to large jobs. Whatever your needs - we've got you covered. Click here to check out our selection of materials along with a description and some common uses. If you have any question don't hesitate to give us a call! Do you need to figure out how much material you need for your project? Click here for some common calculators that should answer that question but if you still have questions - give us a call. 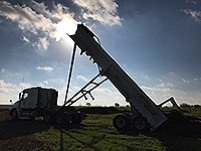 We are located in Alvarado, Texas, (just south of Fort Worth and Dallas) with a high concentration of trucks running daily across the entire DFW Metroplex - from Bridgeport to Ferris, from Itasca to Melissa, as well as trucks in most areas throughout the entire state of Texas. 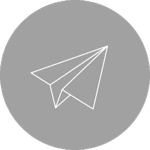 The chances are good that we can work in a load for same day delivery - if needed - for those last minute project issues, or we can schedule something for the next day. Whether it is a residential delivery or a construction site. Call today at 817-225-0059 for estimates and quick delivery. 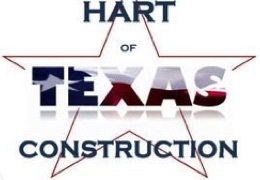 We ran in to John Hart, with Hart of Texas Construction several years ago, and after working with John on project after project (and even having him handle our ground up project which you can come and inspect) we stand behind our recommendation of Hart of Texas Construction for any Commercial or Large Residential project you might have! 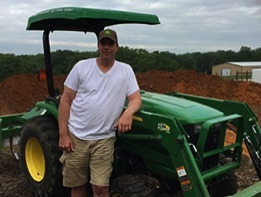 John excels at pad work, grade work, and flex base parking lots, but no job is out of his scope. Give John a call at 817-269-9451 or call our office for more info! 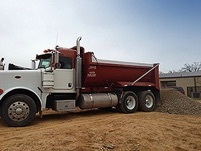 Whether you need as little as a half a Tandem load at your residence or 500 Trailer loads of Select Fill at your commerical job site, we've got you covered. 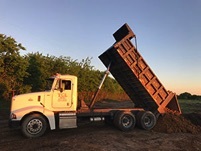 For us, it doesn't matter what size your job is -- we do our best to make sure every single customer is completely taken care of and satisfied. Give us a call today for a quote at 817-225-0059!